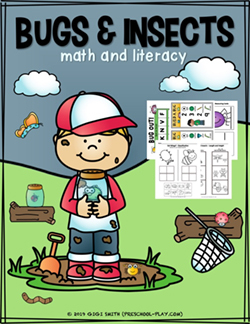 Children will cut out the pages of this book and have teachers/adults staple them together. 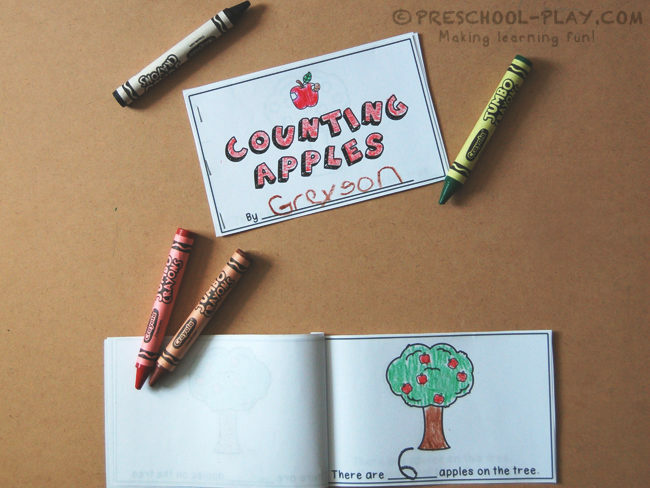 Students can count and write the number of apples on each tree, and then color the pictures. Be sure to keep this activity developmentally appropriate. Some children may need help with cutting and may need you to write the numbers for them. Others may want to count and write their numbers before putting their own pages in numerical order. We used Unifix Cubes , but any small manipulative will do. Students will work to see how many cubes long the items are. Be sure to discuss which are shorter and which were longer, and which items were the same length. Such a wonderful form of non-standard measurement! Print these cards out on cardstock and laminate for heavy use. 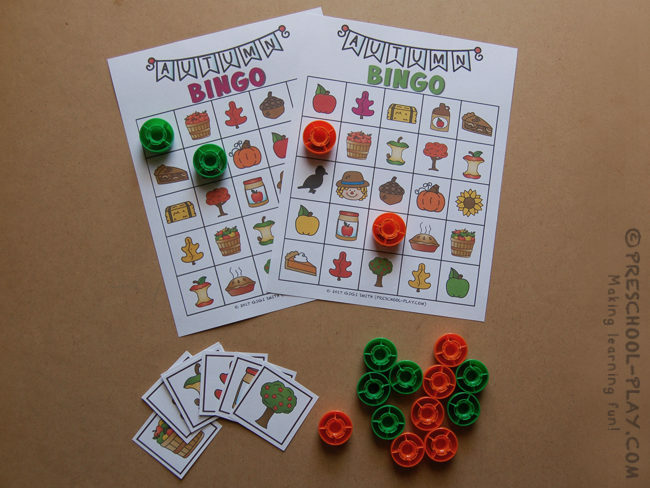 Provide a small manipulative for children to use as bingo markers. Five in a row (horizontally, vertically or diagonally) equals BINGO! Print these cards out on cardstock and laminate for heavy use. 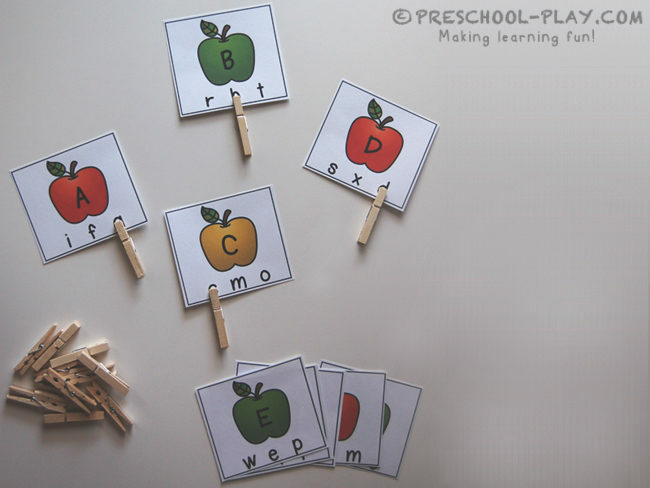 Supply your little learners with clothespins and encourage them to clip each letter’s lowercase partner. Print these cards out on cardstock and laminate for heavy use. Prompt children to place the cards in numerical order. You may also wish to present different groups of cards (e.g., 4,5,_,7,8) and have your preschoolers determine which number is missing. The cards are also a fun way to teach ordinal concepts (first, second, third, etc.). 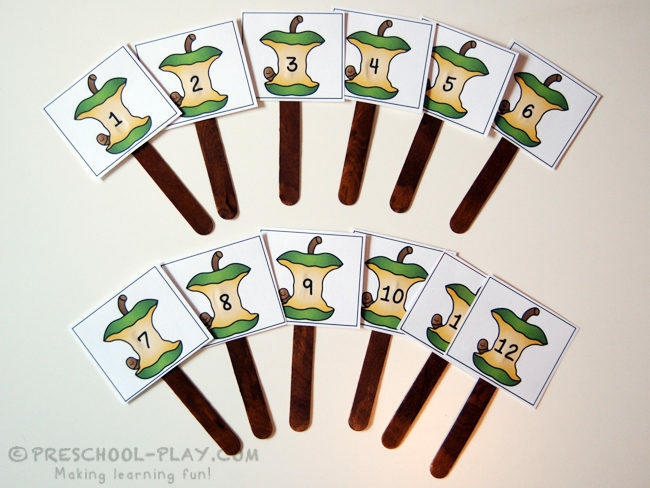 Hot gluing the cards onto jumbo craft sticks makes this activity extra fun for little hands. Print these sheets out on cardstock (laminate for heavy use). Cut out the spinner card and attach a paperclip spinner with a round head fastener (brad). 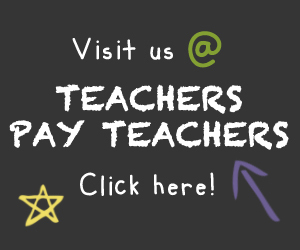 Provide vase gems, mini erasers, pom poms, or some other small manipulative for students to use as markers. Dot markers may be used for the black and white sheets. Young learners will spin, identify the letter, and cover it on their sheet. Continue until the sheet is completely covered. When using this activity in small group, children will take turns spinning. First player to cover his/her sheet wins. Trade cards and play again! 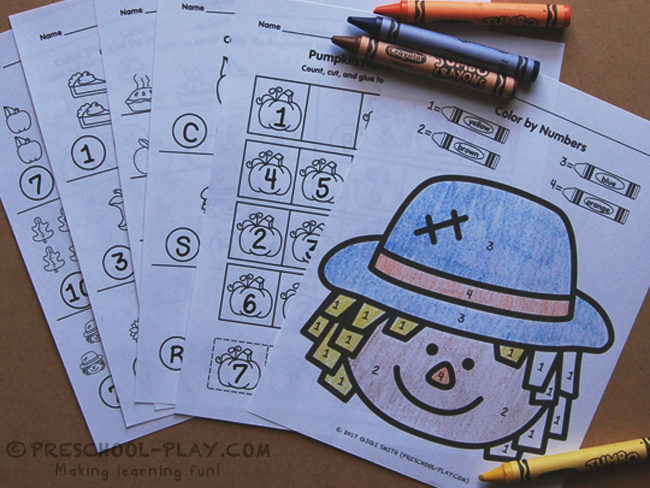 With these eye-catching worksheets, young learners will color a scarecrow by numbers, sequence numbered pumpkins, sort apples by size, work to recognize numbers 1-10, and determine the beginning sounds of some fun fall items. Plus, so much more! 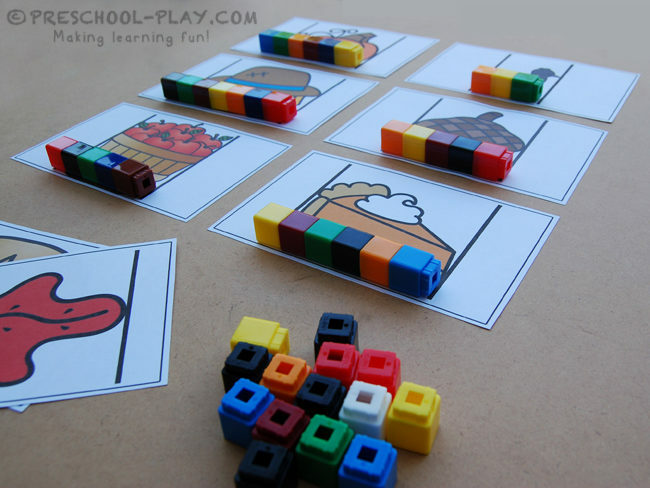 Get this Fall/Autumn Math and Literacy Activities pack.